The 2017 Tax Cuts and Jobs Act (the Act) included a number of Federal tax law changes affecting charities and other tax-exempt organizations. This issue of Professional Notes highlights the new provisions. It also briefly discusses some proposals that were under consideration and did not make the final version of the Act but could re-emerge in the future. The Act’s reduction of the general corporate tax rate to a flat 21 percent means that charities formed as nonprofit corporations will pay unrelated business income tax (UBIT) at a Federal rate of 21 percent, down from rates that had previously topped out at 35 percent. Organizations structured as charitable trusts are subject to a structure keyed to the rates for individuals rather than for taxable corporations. The top UBIT rate for trusts will decline only slightly, from 39.6 percent to 37 percent. The new rates take effect for tax years beginning in 2018. This was the good UBIT news. Less welcome is a new rule that generally bars the deduction of losses from one line of business subject to UBIT (for example, a gift shop) against income from another line of business (such as a restaurant). Each activity will now stand on its own, without the cross-allocations of income and losses that sometimes allowed organizations to reduce (or even zero out) the aggregate net income subject to UBIT. The Joint Committee on Taxation estimated that in the 10-year period 2018-2027 this provision would raise $3.5 billion in tax revenue. This “silo” rule creates a number of issues for organizations, such as the proper way to define each discrete trade or business, whether passive investments subject to UBIT are to be treated as a single business, and how to handle unused losses. IRS Notice 2018-67, published in August, provided interim guidance and solicited comments on the “silo” rule. The Notice invites comments on, among other things, the scope of activities that should be treated as investment activities. The Notice indicates that “as a matter of administrative convenience” Treasury and the IRS intend to propose regulations treating “certain activities in the nature of an investment” as a single trade or business, while at the same time saying that activities of a partnership generally are considered activities of the partners (and may therefore be treated as the conduct of a trade or business). Many investments are made through partnerships, and whether a given holding will be deemed an investment remains to be seen. The Act eliminates a taxable employer’s deduction for providing qualified transportation fringe benefits to employees, such as transit passes and qualified parking. Evidently aiming to create a level playing field for taxable and tax-exempt employers (which derive no tax benefit from a deduction since they are already tax-exempt), the Act imposes UBIT on qualified transportation fringe benefits (and on-premises athletic facilities) provided by charities and other tax-exempt employers. Covered transportation benefits, such as transit checks or passes provided as a non-taxable fringe benefit to an organization’s employees, including those paid for by the employee out of pre-tax dollars, are deemed to generate income subject to UBIT for the organization. For charities in New York and other large cities that require employers to provide commuter benefits like these, it is a source of consternation that such programs are now a source of UBIT, and cannot, by law, be eliminated. The incursion of UBIT into transportation benefits has been criticized not only for its cost to charities, but also because it may force thousands of organizations to start filing IRS Form 990- T—the form for reporting unrelated business taxable income—for the first time. A bill has been introduced in Congress to repeal this controversial provision. The Act imposes a 21 percent excise tax on a tax-exempt organization to the extent it pays compensation (including certain severance payments) in excess of $1 million to an employee who is one of its five highest-compensated employees (“covered employees”). The $1 million threshold amount is not indexed for inflation. Once a covered employee, an employee continues to be a covered employee in subsequent years, so that over time, a charity could have more than five covered employees. Compensation covered under this rule includes amounts as to which there is no substantial risk of forfeiture, and includes remuneration paid by a related organization. However, payments to licensed medical professionals for providing medical or veterinary services specifically are excluded. This provision is separate from the “intermediate sanctions” tax (also known as the tax on “excess benefit transactions”) imposed under Section 4958 of the Internal Revenue Code (the Code), and it applies even if the compensation is reasonable for Section 4958 purposes. In 2015, more than 2,700 nonprofit employees (including those at healthcare systems) earned more than $1 million. The Act imposes a 1.4 percent excise tax on net investment income—a so-called endowment tax—of private colleges and universities with at least 500 full-time, tuition-paying students and at least $500,000 in investment assets per student. The assets and net investment income of certain “related organizations” are also taken into account for the purposes of this rule, but assets used in carrying out the institution’s educational purposes (e.g., classroom buildings and dormitories) are excluded. The endowment tax applies only to schools with more than 50 percent of their students in the United States. IRS Notice 2018-55, also published in August, outlined proposed regulations dealing with such topics as the manner of determining the basis used to calculate gains, the treatment of loss carryforwards, and the allocation of losses across multiple related organizations. Some commentators have suggested that the endowment tax may reflect Congressional hostility toward endowments in general and toward large endowed colleges and universities in particular. Many are concerned that the provision is a first step toward taxing investment income of all charities. Despite a number of new deduction limitations under the Act, the income tax charitable deduction remains intact. It even allows charitable contributions of cash to a public charity to be deducted up to 60 percent of the donor’s adjusted gross income (AGI), instead of the prior 50 percent threshold. Even so, this modification is unlikely to change an enduring fact of charitable giving: that gifts of appreciated stock are often the most tax-efficient choice, despite a lower deductibility threshold (up to 30 percent of AGI). This is because these gifts can be deducted at fair market value without requiring the donor to recognize the inherent gain. In calculating the charitable income tax deduction, gifts of cash are applied first, so a donor who gives charity 60 percent of his or her AGI in cash, and another 10 percent in stock, will be able to deduct only the cash contribution in the current year; the deduction for the stock gift will be carried forward. The IRA “charitable rollover” also remains intact. This provision permits a donor who is at least 70-1/2 years old to contribute up to $100,000 to qualified charities from an IRA. Instead of a charitable deduction for the gift, the individual excludes the amount of the rollover from his or her taxable income. The Act repeals a rule that allowed taxpayers to deduct 80 percent of a contribution made for the right to purchase tickets for college and university athletic events; the actual purchase of tickets was never treated as a charitable contribution. This “safe harbor,” which had been in the law since the 1980s, simplified charitable giving for college and university donors. Taking it away means that a donor will be unable to deduct any portion of a gift that qualifies him or her to purchase athletic tickets. This, in turn, means that colleges and universities will be examining the system under which donors’ charitable gifts are taken into account in order to create ticket-buying eligibility. Previously, the basis limitation rule of Code Section 704(d) did not limit a partner’s deduction of his or her share of the partnership’s charitable contribution; under the Act, the basis limitations of Section 704(d) now limit a partner’s ability to deduct the partner’s pro rata share of partnership contributions. With respect to charitable contributions of property by partnerships, the Act provides that where the fair market value of property contributed to charity by the partnership exceeds the partnership’s adjusted tax basis in the asset, the partner only needs to reduce his or her basis for purposes of calculating the amount of loss allowed under Code Section 704(d) by the partnership’s basis in the contributed property (and not its full fair market value). The amendment of Section 704(d) may discourage charitable gifts by entities taxed as partnerships. The basic exclusion amount for the estate and gift tax unified credit and for the generation-skipping transfer tax exemption has been doubled to $10 million for individuals who are U.S. citizens, indexed for inflation. In 2018, this equates to $11.18 million for an individual and $22.36 million for a married couple. The exclusion is scheduled to revert back to $5 million, indexed for inflation, after 2025. Under the Act, the maximum estate and gift tax rate remains at 40 percent. Researchers estimate that less than 0.1 percent of estates will be subject to estate tax this year. The Act authorized the Treasury to issue regulations to address any difference between the basic exclusion amount at the time of an individual’s death and the basic exclusion amount in effect at the time gifts were made. It is generally understood that this is intended to address situations where a gift within the exclusion amount is made before the end of 2025, but the donor dies after 2025, when the estate tax exclusion amount has decreased. It remains to be seen whether and to what extent the increased floor for taxable estates will impact bequests to charity, but in the past such changes have produced a shift in giving patterns. In 2010, when the estate tax was temporarily repealed, charitable bequests reportedly decreased 37 percent from the prior year. A number of provisions under consideration in 2017 were not included in the final bill. There had been much discussion of repealing the Johnson Amendment, which prohibits charities, including churches, from political campaign activity—e.g., supporting or opposing a candidate for political office. The Act did not address this provision, leaving the prohibition intact. Many commentators believe the prohibition serves to protect charities from taking positions at the behest of or influenced by substantial contributors. A much-discussed proposal to change the excise tax on private foundations to a flat 1.4 percent tax of net investment income, instead of the current scheme of either a 2 percent or 1 percent tax, also was not included in the Act. The 1.4 percent rate was adopted in connection with the endowment tax on colleges and universities, discussed earlier. Also not making it into the Act was a proposed repeal of the “rebuttable presumption of reasonableness” with respect to Section 4958 “excess benefit transactions”—that is, the ability of charities and social welfare organizations to claim that a compensation arrangement is presumptively reasonable on account of the procedure followed by the organization in connection with approving the arrangement. According to the Chronicle of Higher Education, there were 58 presidents of private colleges and universities who earned more than $1 million in 2015, and the number has only increased since then. The loss of the 80-20 deduction rule for payments that give the donor the right to buy college athletic tickets will have an adverse impact only on colleges and universities, and the same is true for the new excise tax on the endowment income of some colleges and universities. Taken together, these changes mean that higher education is probably the charitable sector’s biggest loser under the Act. Yet colleges and universities are not alone. The Act seems likely to negatively impact charities of all types and all sizes—whether due to reduced charitable giving (resulting from the increased standard deduction and the increased amount of the exclusion from gift and estate tax) or as employers taxed on qualified transportation fringe benefits and certain compensation over the $1 million threshold. The reduced UBIT rate may provide offsetting relief for some organizations, but for many charities, the bulk (or all) of their unrelated income otherwise is not taxable anyway—either because they don’t have net UBIT or because the income is passive investment income. The Act may be seen as one of many developments in the recent past that have increased the strain on the nation’s charitable resources. It also may be a harbinger of more challenges yet to come. Fortunately, some of the most important philanthropic tools —like the IRA charitable rollover and the ability to donate appreciated assets without triggering realization of taxable capital gain—remain intact. Philanthropy still has tax advantages for the savvy giver—and the need for philanthropy may be greater than ever. IRC Section 512(a)(6). Calculation of UBIT on separate basis. IRC Section 512(a)(7). UBTI increased by certain fringe benefit expenses. IRC Section 704(d). Deduction of partnership charitable contributions. IRC Section 4960. Excise tax on excess compensation. NYC Affordable Transit Act, NYC Administrative Code § 20-926. H.R. 6037, the Nonprofits Support Act. Proposal to eliminate the new requirements for treating certain fringe benefits as activities subject to UBIT. Selling a business? Managing an inheritance? The Trust helps you help clients. 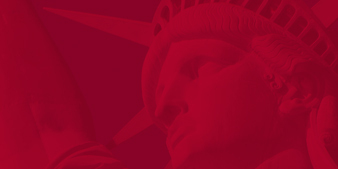 For more than 90 years, we’ve worked with nonprofits, donors, and attorneys in New York. Our grants bolster the arts, protect the environment, feed the hungry, educate children, and more. Because The New York Community Trust is a public charity, donors are ensured the maximum deduction allowed by law. Contact us to learn more.